Lets start this story by saying Saturday night I went to the movies and out to dinner with my ex husband and the girls. We got home about 11:30. I unlocked the door, came in and everything was fine. I was tired so I went right to sleep. The girls stayed up for awhile and then went to sleep. I woke up about 1:30 but got back to sleep easily, and again maybe 6:30. Nothing seemed odd but I also didn't get out of bed. Yesterday I was home all day. I had a few chores in the back yard other than that I was inside all day until about 4ish. 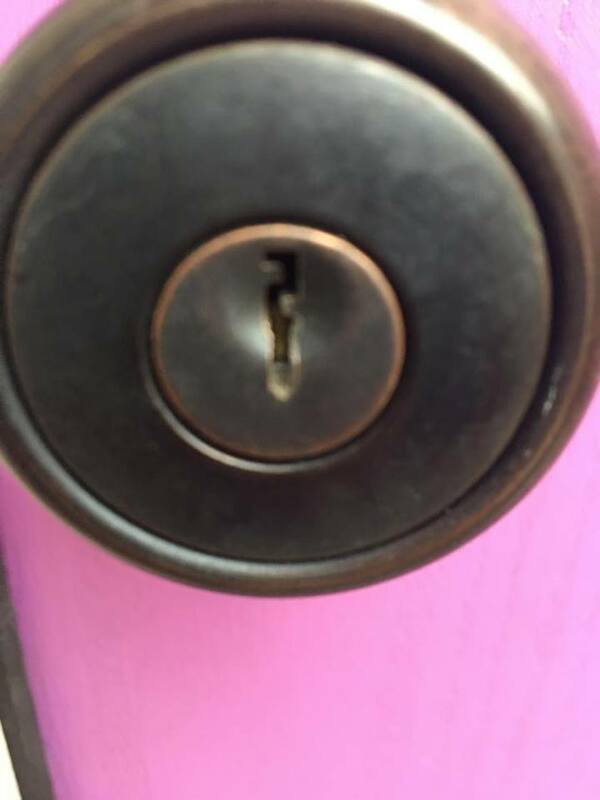 As I left he house to run to the store I noticed that my key wouldn't lock the deadbolt. I opened the door back up and noticed that their was tape where the deadbolt latch is. I wasn't thinking and got goo gone and cleaned it off. That's when I noticed the door locks themselves. 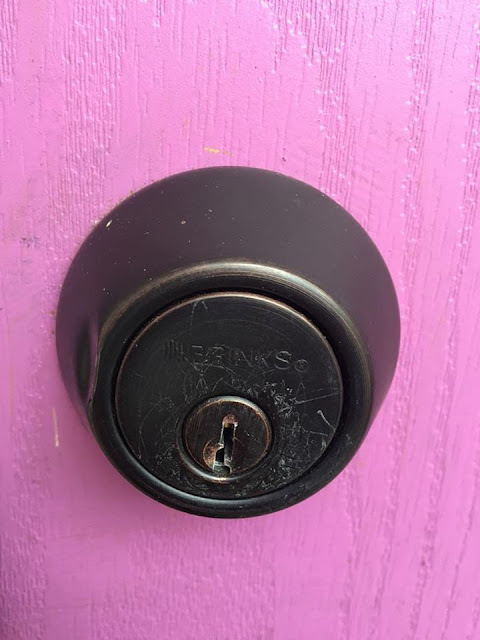 At some point on Saturday night/Sunday morning someone tried to break into my house. They didn't succeed that I know of because the deadbolt was latched Sunday morning. I don't have closet doors because I am paranoid and I have already checked the attic. I bought new door locks and have security alarms being delivered.